Getting back to stamping, which is a delightful way to relax. I started by "painting" a quick turquoise background with a Zig watercolor brush. Stamped Altenew's Botanical Garden and a sentiment from a super old set by Technique Tuesday (name unknown). 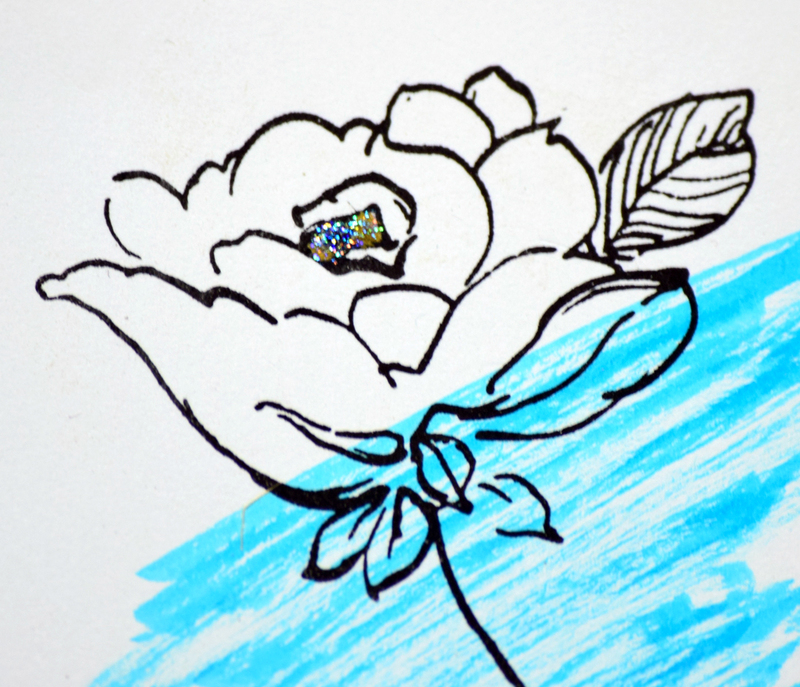 Added a little gold to the center of the flower to try and mimic the gold glitter tape. MOOD WHEN DONE = Pretty good! And now, after weeks of neglect, I need to clean up my craft room. I'm sure you understand! Thank you for your kind comments and emails. I spent 5 days in the hospital trying out a drug to see if I can avoid heart surgery. First, I have to give a shout out to Inova Fairfax Hospital's Progressive Coronary Care Unit. Wow, those nurses are amazing. I think someone checked in on me every hour -- and yes, they wake you up for medication and vital signs all night long. Secondly, so far the drug is working well. About a third of the time it works, but then fails, so I'm cautiously very optimistic. In the meantime, I'm climbing stairs and walking with minimal shortness of breath. I literally had no idea that was possible! I'll decide on the surgery in a few weeks. Eeek. 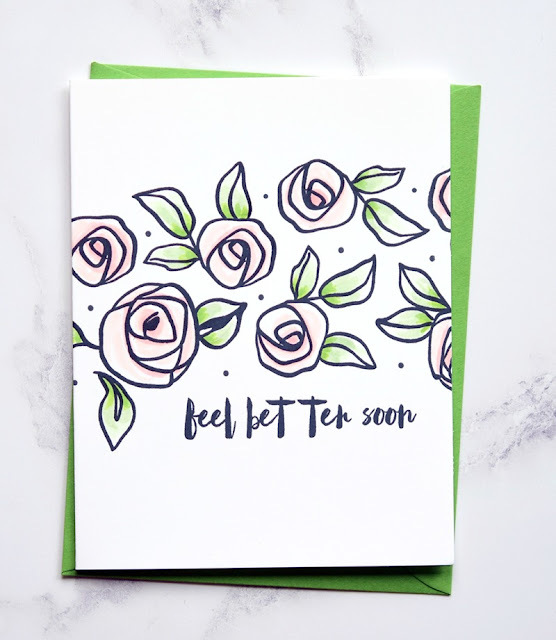 I'm posting this from the hospital but I made the card a few days ago. Still testing out a new drug. 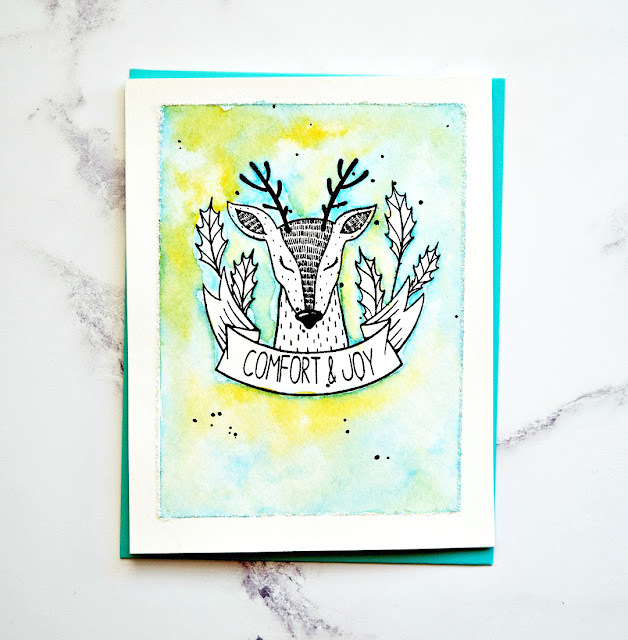 In the meantime, here's what I'm calling Red Deer, using the L'l Inkers Design Oh Deer Christmas set. Used color pencils to add color to the deer. 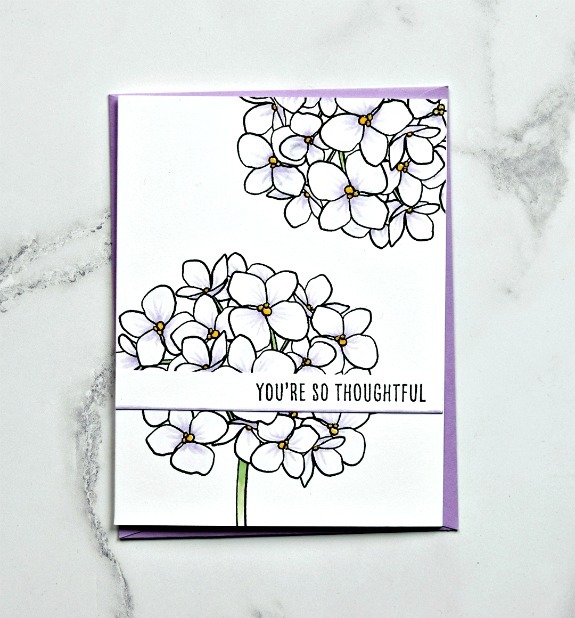 Stamped this with a grey ink to get a softer look. Added speckles from the set onto the red cardsock in gold, white, and red but to provide a little visual interest. MOOD WHEN DONE - Happy! 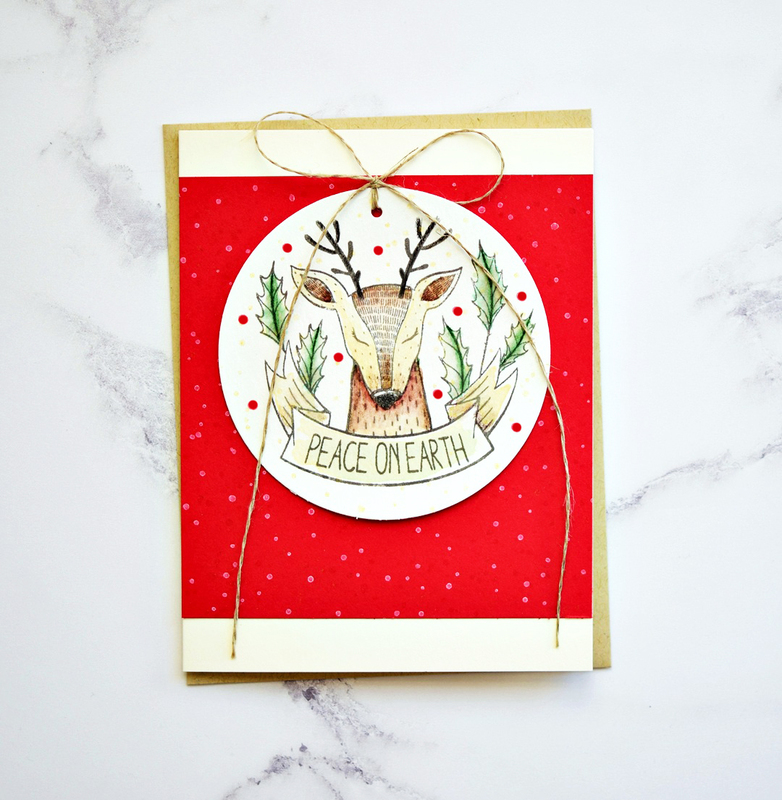 Used the so sweet Deer Christmas set from Li'l Inkers to make another Christmas card. Took an easy approach and embossed in black (Versafine ink with clear embossing powder), masked a border, and just threw some watercolors around. Added a glitter frame with Stickles. I've seen Julie Ebersole do this and that glitter frame is downright magical!! MOOD WHEN DONE = Watercolor! Glitter! Sweet image! Great Sentiment! Easy to mail! Black splatters! As my mom used to say, what more do you want? So I am currently hanging in the hospital, even though there is absolutely zero reason to be here. I'm starting a new medication and the protocol is to be in the hospital for a few days when you start this med to make sure the stuff doesn't kill you. Apparently, there is a small chance that the med can make your heart go into a dangerous rhythm. I was chill about this until the nurse asked me this morning if I "wanted to be resuscitated should you go into cardiac arrest?" Um, let me think on that one. This is the same cardiac unit that my Mom used to be in all.the.time. So it's depressing, in a please let's not bring back all those memories way. Otherwise, it is sort of like being in an ugly hotel. Private room, TV, wifi, and I can wear my jeans and my own bathrobe with the hospital gown. This is critical to my happiness. No one needs to see my pasty white fluid-filled legs! Plus the nurses and techs are super nice (except for one guy who started talking politics). Why am I doing this? There is an "outside" chance, to quote the doc, that the medication will do magical things and I won't need surgery on my heart. So here's hoping for magical things! Got another card that fits the May Ellen Hutson Mix It Up Challenge -- to combine Essentials by Ellen and Reverse Confetti products. Love this Reverse Confetti set, called Figure of Speech. This card has a looser style than this one that I posted last week. I added some hearts from Essentials by Ellen Oh Frappe. Now here's where I should say something interesting, designey, or profound. I got nothing!! As I shared before, I'm making my Christmas cards early this year. I'm calling the project "Operation Christmas" because my upcoming surgery is the reason for making them so early. Get it? HA. In any event, here is the first card I've made for Christmas 2017. I love this image so much. 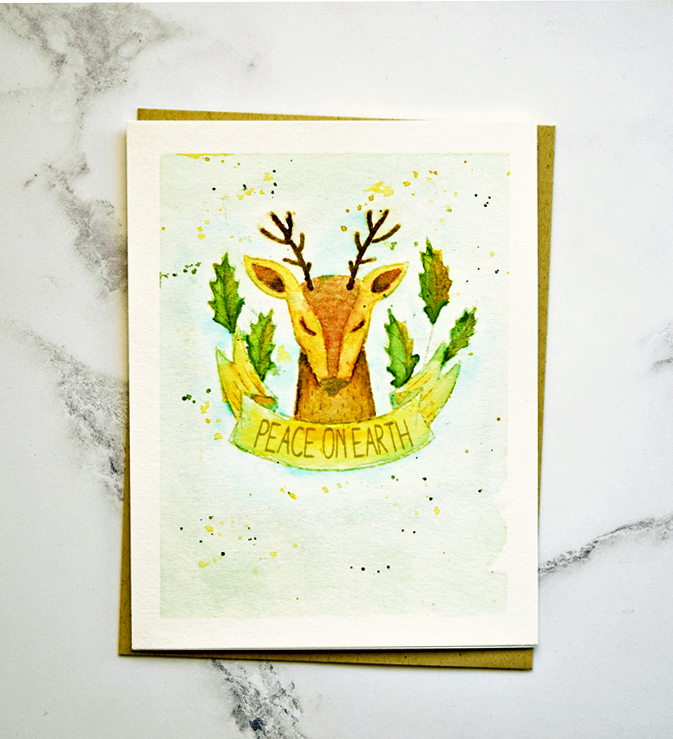 It is from L'il Inkers Oh Deer Christmas Stamps. 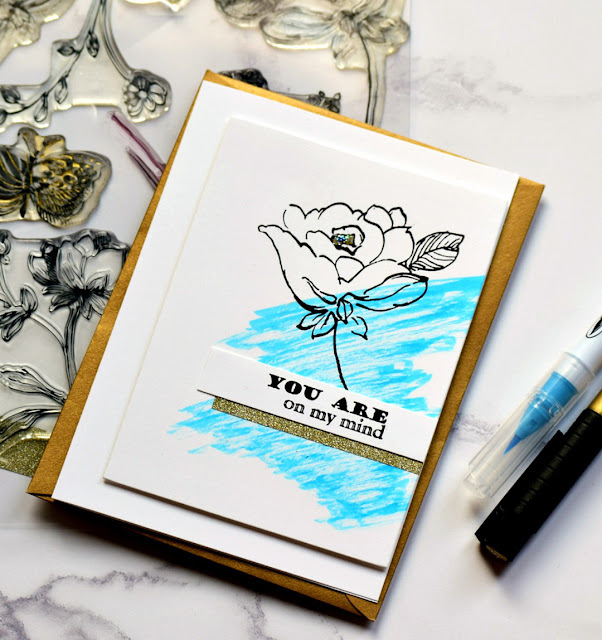 In addition to a gorgeous image, it includes a space for a sentiment (I always have a hard time with sentiments), and is only $12! Made 3 cards so far with this set and, for this first one, I tried my hand at "no line watercoloring." Stamped the image with Distress Linen ink on watercolor paper. Masked the image and painted with Gansai Tambi watercolors. (Note: Ellen Hutson is having a 20% off everything sale until Tuesday, May 16, 2017. Just use code MOMSDAY17). 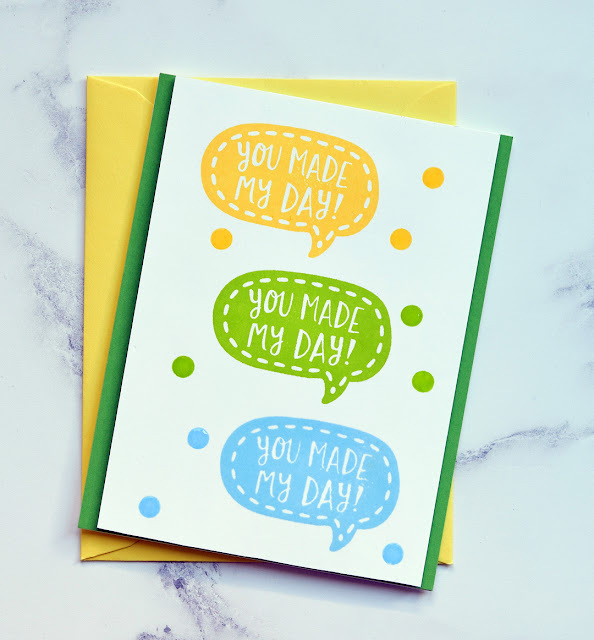 MOOD WHEN DONE = Happy that this project is underway and I like the card. The longer I stamp, the more I prefer cards with just stamps, paper, and ink. Oh, I still use dies and embossing powder and other tools, but my eye is increasingly drawn to super simple. And this card is as simple as it gets. Ran a folded card, made with Gina K 120lb luxury cardstock, through the Big Shot (I keep a clean plate just for this purpose). 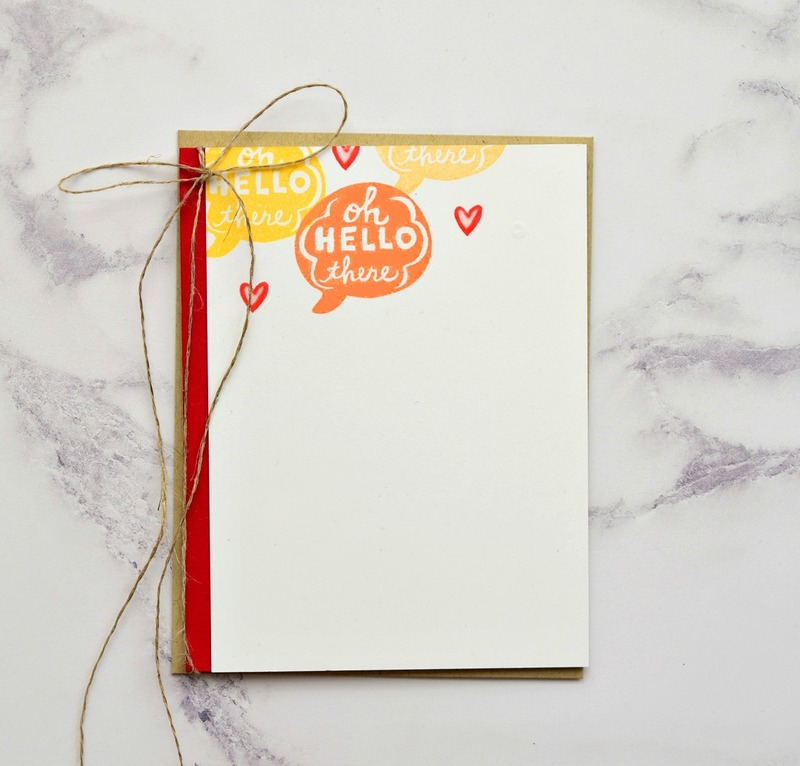 This is thick cardstock and flattening it with the Big Shot gives a crisp crease and fold. Stamped the sentiment from Altenew's Bamboo Rose with Memento Tuxedo ink (my Hero Arts Intense Black ink, which is darker, is dry.) Stamping the sentiment first makes it easier to place the flowers. Colored with copic markers. Added dots from Essentials by Ellen Bokeh Dots. This is going in the mail today to a friend. 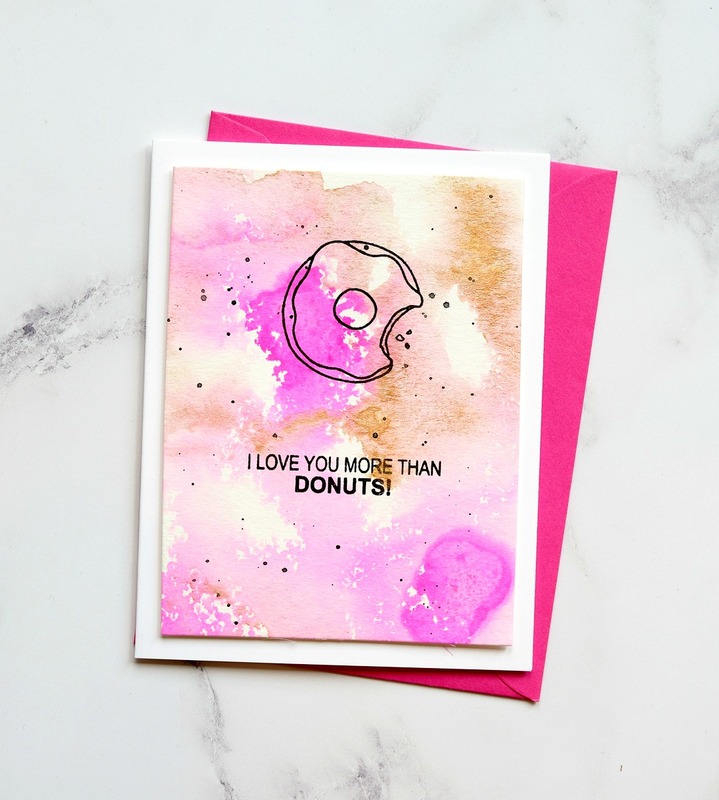 Love the Donut set by Jane's Doodles. (You can also find it on sale at Butterfly Reflections). I first noticed this set when Aga posted this gorgeous card. Sigh. Aga is soooo good. In any event, I had Aga's card in mind when I made this one. Made the background with watercolor paper, an Adirondack raspberry reinker, gold gouache paint, and water. Added some black paint speckles and stamped the image and sentiment with Versafine Onyx. Thanks so much for your encouraging words on surgery. I've got this!!! MOOD WHEN DONE = Hungry for a donut. I have a few more cards to blog while I'm working on Christmas cards. This one also fits the rules for the May Ellen Hutson Mix It Up Challenge to use Reverse Confetti and Essentials by Ellen products (I've got more coming!). That fun saying is from Reverse Confetti's Figure of Speech set. And the dots are from Essentials by Ellen Bokeh Dots (and covered with clear gloss). The inks are from Altenew and I'm very happy with the coverage. Not all the colors stamp this smoothly first time around, but these three did. MOOD WHEN DONE = This card was meant to be fun and loose, but it came out a little stiff. Does that make sense? I have another card that uses this same set that is more my style. Hope to blog it soon. Nevertheless, I'm happy to have made this bright fun piece AND put it in the mailbox. Made this for my beautiful mother in law and it couldn't be simpler. Used Altenew's Beautiful Lady, Forest Glade, and Versafine Onyx inks. As my mom would say, what more do you want? HA! MOOD WHEN DONE = Happy! And now I turn my attention to making Christmas cards. Unless I run for the hills (and the hills are looking good), looks like I will be having heart surgery in August and I want to get my Christmas cards done before that. Priorities. I've talked to several folks who have had this surgery and watched a million videos and gathered as much info as I can. Except for having to wear scrubs, I think I'm ready to operate on anyone!!! 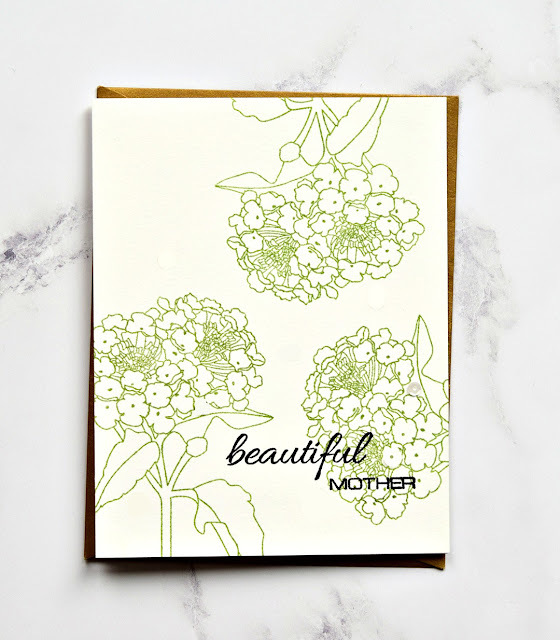 I've had the gorgeous Essentials by Ellen Mondo Hydrangea since it came out a year ago, but never made anything with it that I liked. However, this time, I'm a happy stamper. I paired it with a sweet sentiment from Reverse Confetti Whole Lotta Thanks. There is a very light wash of Copic on the bottom of the sentiment strip and believe it or not, it made a difference. Copics don't bleed through Gina K's Heavy Base Weight Card Stock. I have that cardstock and it is heavy and you get NO bleed through no matter what. 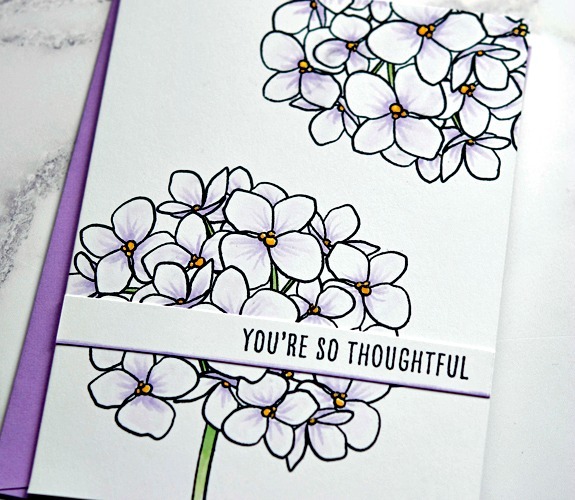 However, for this card, I used Michael's Recollections #110lb white cardstock, and very lightly colored the image with Copics -- there's a pale wash of very light violet with some shading near the center. Zero bleed through. I was curious and rubbed a small piece of the Recollections cardstock over and over with the green Copic and it took about 7 rub throughs before I got any bleeding at all. Good to know! MOOD WHEN DONE = I'm good! Hope you have a great weekend!